Items on same line indicate model updates. Different lines indicate varying model levels. The small print should tell you that the m4/3 partners have been doing mirrorless for a long, long time. m4/3 is now almost ten years old (Panasonic introduced the first such camera, the G1, in 2008). In those ten years, we've gotten almost 50 camera bodies from two companies and dozens of lenses from five companies (even more than that if you count minor iterations of the same lens). One common complaint I hear these days from people thinking about buying into the m4/3 system for the first time is that they're a bit confused with all the options. Let's see if I can clear the air a bit. First, though, let’s make sure you understand that m4/3 is a closed standard that a handful of camera and lens manufacturers have agreed to use. m4/3 cameras use a sensor that has a 4:3 aspect ratio and a size of 13.5 x 18mm. That’s smaller than APS-C sensors (Canon, Fujifilm, Sony), but larger than 1” sensors (Nikon 1). APS-C and full frame cameras also use an aspect ratio of 3:2. All m4/3 cameras share the same lens mount, so you can mount any m4/3 lens on any m4/3 camera (that’s true for video cameras using the m4/3 mount, too). The two primary creators of m4/3 were Olympus and Panasonic. Along the way a number of other companies, mostly lens makers, have signed on to build products that conform to the standard. 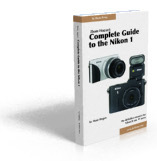 For the purposes of this guide, we’re going to stick mostly to Olympus and Panasonic, as they started m4/3 and are the principal providers of m4/3 gear. Some of you will quibble about this categorization, but I believe it to be basically correct. This is one of the confusion points for newcomers, so let's make sure that everyone understands something: Olympus and Panasonic continue to unload excess previous generation inventory on the market in many regions, meaning you'll easily find a dozen or more m4/3 camera choices as you shop (especially on the Internet). One clear indicator: 12mp is absolutely "oldest generation”. 16mp would be somewhere in the middle set of generations. Most of the 16mp cameras all are within a hair’s breadth of each other in terms of image quality, regardless of generation. 20mp kicks off the latest generation. Virtually all m4/3 products use either a Panasonic or Sony supplied sensor, though there are a number of individual variations made on those sensors, so even two 20mp Sony-made sensor cameras can differ in aspects (mostly video attributes, focus, and bandwidth related, not generally image quality). Is it a bad thing to buy a generation behind? Not at all. From the very beginning, the m4/3 cameras were quite capable. I started shooting with an E-P1 in 2009 (see image below) and have some very solid images taken with that camera in extreme conditions. But it's the age old story with consumer electronics: the status quo moves constantly. Over time we've gotten more pixels, better dynamic range, better handling of low light, better JPEG rendering (especially Panasonic), and more features. Every now and then we see blow-out prices on a handful of "retiring" m4/3 cameras. By blow-out, I mean as little as US$199 for a body. Such prices are another thing that confuses newcomers. Should they buy these older low-cost bodies or the much more expensive latest-and-greatest? If you really think you might make m4/3 your long-term system, the answer doesn't matter. Even if you buy a low cost body to start, the lenses in m4/3 are the real draw, in my opinion. You'll be starting down the path of getting into the system, and doing so inexpensively if you buy an older body that is being discontinued. You'll then be able to get a better handle on what else you want from your m4/3 system body and choose more accurately from the current options in the future. As far as the truly “current" models go (Olympus E-M1 Mark II, Pen-F, E-M5 Mark II, E-M10 Mark III, E-P5, E-PL8, and Panasonic GX850, GF7, GX9, G9, GH5/GH5s), they're all quite good, just in different ways. So we need to talk about a second distinguishing trait. Simplified compact (low on external controls, requires using the LCD for composition, but typically almost as small as compact camera bodies). The Panasonic GF3, GF5, GF6, GF7, GM1, GM5, GX850 and Olympus E-PM1, and E-PM2 all fell into this category, which has been getting less attention lately. Rangefinder compact (more sophisticated user control, some offer an optional EVF for composition, designed a bit like a small rangefinder film body but with no actual viewfinder; others have a built-in EVF at the left side of the camera back). The Olympus E-P1, E-P2, E-P3, E-P5, E-PL1, E-PL2, E-PL3, E-PL5/6, E-PL7, E-PL8, E-PL9, Pen-F, plus Panasonic GF1, GF2, G1x, GX7, GX8, GX80, and GX9 all fall into this category. Compact DLSR (built-in EVF instead of optical viewfinder, DSLR-like controls and handling, more built-in features). The Panasonic GH2, GH3, GH4, GH5/GH5s, G3, G5, G6, G7, G80/G85, G9, and all the Olympus OM-D models (E-M1 Mark II, E-M5 Mark II, E-M10 Mark III) fall into this category (as did the much older Panasonic G1, G2, GH1, G10, and Olympus E-M1, E-M5, E-M10 Mark I and II). With the simplified compacts you'd always be shooting at arms length (LCD used for composition), and you'd have to dip into menus or the touchscreen LCD to change most options while shooting. With the rangefinder compacts you'd be shooting at arms length with the EVF-less ones, but you could put an optional EVF on and use the camera at your eye, at the slight disadvantage of adding something that sticks up off the camera and adds expense. Most recent ones, though, have a built-in EVF. At least you have the option of two types of shooting, though not necessarily as conveniently as the compact DSLRs. Most cameras in this range have more user controls (dials, buttons, and the like) that are available to quickly re-configure settings without dipping into the menus. The compact DLSRs are just that: you typically shoot them just like a DSLR with the camera at your eye, and they have plenty of direct controls so you don't have to menu dip. You can also shoot them at arm's length (ala Live View on a DSLR) if you want, and most have tilting or positionable LCDs, too. As we go up in sophistication (simplified compact -> rangefinder compact -> compact DSLR) we also tend to go up in price. Surprisingly, we don't tend to go up much in image quality. For example, the GM5 (simplified compact), GX7 (rangefinder compact), and GH3 (compact DSLR) were remarkably close in image quality because they all used the same base image sensor. In the current generation, virtually all of the 20mp m4/3 bodies produce very similar image quality, if not identical. You’ll see some variation with JPEGs, as the most recent cameras tend to have slightly better JPEG handling than the older ones, and Panasonic and Olympus style their JPEGs differently. But raw files across all the 20mp m4/3 cameras are remarkably similar; not enough difference to quibble about in my opinion. Which brings us to the Olympus versus Panasonic choice. Once you figure out which generation and which type, you're then faced with choosing between two manufacturers. Simple answer? For a majority of folk, it probably doesn't make a difference. But there are differences that you should note and be aware of. Panasonic. 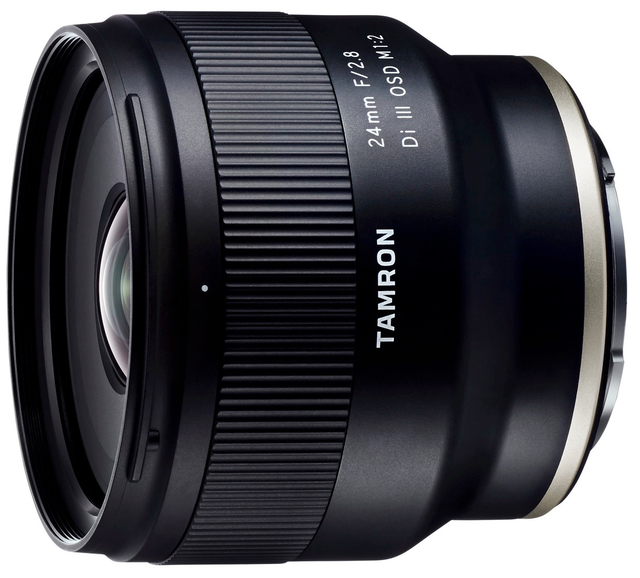 Tends to use image stabilization in lenses only, though this is slowly changing; most Olympus lenses on most Panasonic bodies will not be stabilized, therefore. Panasonic is about a half generation ahead of Olympus in terms of iterating their bodies. Panasonic, at least at the top end, has paid a lot more attention to complex and subtle video issues than Olympus. Until recently, Panasonic only used Panasonic sensors, but now is using some Sony sensors, as well. In some parts of the world—the US being one of them—Panasonic doesn't have a very strong dealer presence, and often times new gear is harder to get in a timely fashion. Olympus. Uses sensor-based stabilization, though it varies in ability among the models; Panasonic lenses on Olympus bodies can usually be stabilized at the lens or the sensor. Olympus has used sensors from other vendors than Panasonic (Sony sensor in most of the latest models), and there seemed to be a small benefit in doing so early on (for stills), though this is no longer really the case in the latest models. While Olympus cameras can capture video, overall video quality can be a bit lower than the equivalent Panasonic model, though this has narrowed with each generation (the GH4/GH5 being big exceptions: they do 4K video better than most cameras, even ones that came after them). Olympus has a better dealer presence in the US than Panasonic, but not excessively so. I personally don't find any of the Olympus/Panasonic differences to be big enough to sway my choice more than my overall reaction to handling and using the camera while taking photographs. The Olympus menu system can look like a cluttered mess to newcomers, though it allows a high degree of customization of how the body works. I happen to like customization and will tolerate complexity to get it, but not everyone has that same reaction. Lenses are m4/3's strong point. 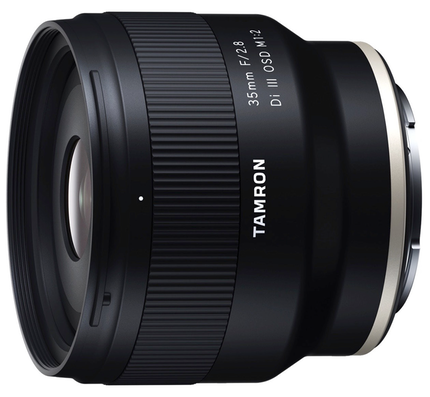 We've not only got more lenses for the m4/3 system than any other mirrorless system, we have some exceptionally good choices. There really isn't a poor choice in the bunch (though there are some lenses that are just "good"). One thing that's especially welcome is that we have a full range of primes and we have a full range of zooms, not just a couple of zooms with a prime or two. In the prime world, we have the equivalents of 24mm, 28mm, 35mm, 40mm, 50mm, 60mm, 90mm, 150mm, and 600mm. Five of those primes are exceptional (12mm, 45mm, 75mm, and 300mm from Olympus, 25mm from Panasonic), but all are good. If you like primes, m4/3 has you covered, though the prices add up fast. These primes are all reasonably compact, too. I can fit two m4/3 bodies and all of the primes into a very small camera bag. Another place where m4/3 excels is in the "quality" zoom realm. We have 14-28mm, 24-70mm (and 24-80mm), and 70-200mm and 80-300mm equivalents with f/2.8 apertures, which are all at pro DSLR levels. But even in the lower priced and specified zooms we have a lot of really good lenses and a wide variety of choice (that'll take you from 18mm to 600mm equivalent!). Decide whether you want to buy at the leading edge (current generation, latest-introduced bodies) or are willing to trade off a bit of performance and features for a lower price (previous generation, or at least bodies introduced more than nine months ago). From those three things you've essentially narrowed your choices to one, two, and sometimes three bodies. You're on your own from there (though read my reviews); just add lenses and you're done. As of the date at the bottom of this article, my clear favorite m4/3 body is still the Olympus OM-D E-M1 Mark II. It's a deeply-featured camera body in traditional DSLR style, has an excellent 20mp sensor at its heart, yet is reasonable small and light. The G9 and GH5 Panasonic models have much going for them, too. If you're into video, you have two very interesting and high-quality choices: the Panasonic GH5s, or one of the Blackmagic Design cameras, such as the Pocket Cinema Camera (PCC) or the upcoming 4K Pocket Cinema Camera (4KPCC). Note that while the PCC uses m4/3 lenses, it has an additional crop factor (2.7x instead of 2x); also not all m4/3 lenses are fully supported by the Blackmagic Design cameras. Still, a GH5 and a 4KPCC make a pretty awesome video team. In terms of lenses, my usual travel choices are the Olympus 12mm, 45mm, and 75mm primes, plus a quartet of Panasonic zooms (7-14mm, 12-35mm, 35-100mm, and 100-400mm) or a trio of Olympus zooms (7-14mm, 12-40mm, 40-150mm). Rarely do I need to supplement this kit, though I will if I know I'm going to encounter the need for something these lenses can't handle well, like macro. See also Thom's m4/3 Bag.